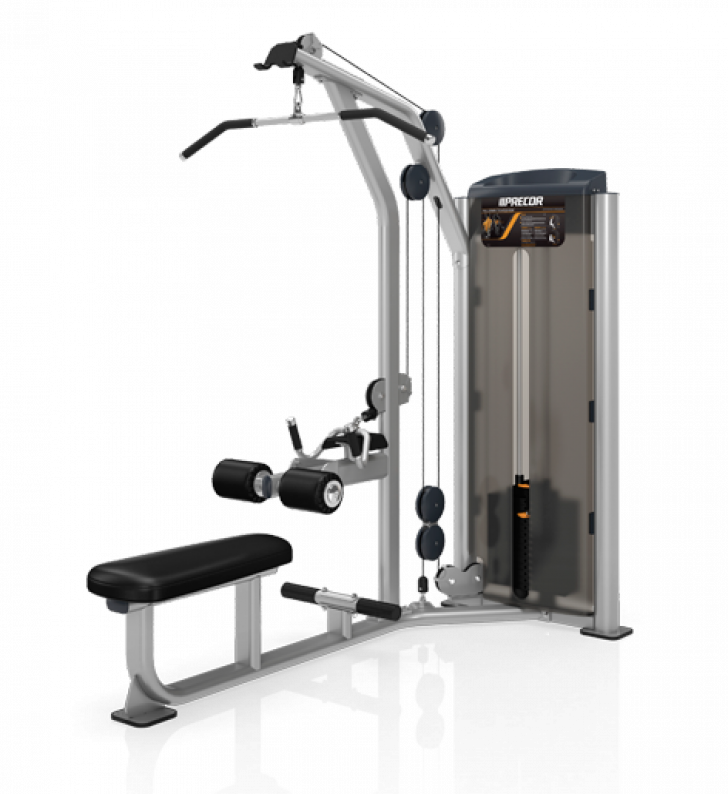 The Vitality Series Pulldown / Seated Row is a dual-function machine with lat pulldown and mid-row exercise positions. Features an easy-to-adjust thigh hold-down pad, extended seat and foot bar to facilitate both exercises. Users can easily engage the add-on weight with a simple push of a lever to increase the work load. Frame	 11 gauge (2.75 mm) 2x4-inch (50 x 100 mm) tubing is bent electroweld steel. Features	 Extra long seat at a fixed seat height. Thigh roller pads can adjustment easily from a seated position to accommodate short to tall users.